Gear for Grunts Tactical. 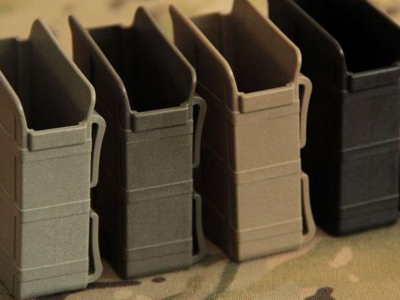 Innovation.® (G4G) is delivering a paradigm shift in tactical gear that will revolutionize the way in which ammunition magazines are carried and loaded into a weapon. The RAMP® (Rapid Access Magazine Pod) provides the ‘Grunt’, the common infantryman, to whom G4G seeks most to support, the ability to securely carry their spare assault rifle magazines (such as the M-4 Carbine) in an optimized fashion that halves the time required to reload, while providing the operator the ability to maintain eyes on target at all times. There is also the added benefit of the RAMP’s Patented design which maintains the ammunition contained within the magazines cleaner, thus reducing the frequency of weapon malfunctions. Last, the RAMP is constructed of proven, highly durable, yet light weight, mil spec compliant materials which are able to withstand the rigors of combat. All these benefits and features are made possible by the unique design of the RAMP which secures and holds magazines in a similar manner in which they are while inserted in the weapon. Therefore, the RAMP possesses all the critical elements crucial to the combat infantryman by poviding faster reloads, more accurate fire and cleaner ammunition. These elements combine to make the RAMP a ‘force multiplier’. 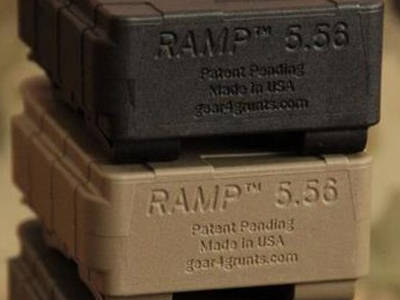 Gear 4 Grunts was formed in 2010 and has been developing the company's flagship product the RAMP (Rapid Access Magazine Pod) ® since 2008. The RAMP, with its Patent Pending design, was inspired by the founder Doug Mullen's experience of supporting C4ISR initialization for deploying U.S. Army Combat Brigades. This vigorous pursuit of designing and implementing an optimal solution for the rapid reloading of automatic rifles lead to the development of the RAMP. To this end, Gear 4 Grunts has invested time, energy and personal treasure into the development of the RAMP because we know it can and will save U.S. servicemen’s lives and assist in mission accomplishment. The Gear 4 Grunts CEO, Doug Mullen, began his military career by graduating U.S. Army Ranger School as an Army ROTC cadet. He then went on to graduate with a BA in History and as Distinguished Military Graduate in 1990. As a newly commissioned Second Lieutenant of Infantry, Doug served as a Rifle Platoon Leader and Mortar Platoon leader with the 1/501st (ABN) while stationed at Ft. Richardson, Alaska. He later transitioned to the Signal Corps and served as the Brigade Signal Officer for 1st Brigade, 6th ID (Light) also located at Ft. Richardson. Doug’s military schooling experience includes the Infantry officer Basic Course; Infantry Mortar Leader’s Course; Jumpmaster School and the Signal Officer Advanced Course. 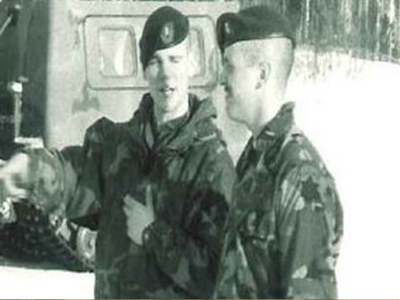 Doug also earned Basic Airborne Wings, the Pathfinder Badge and was awarded Senior Parachutist Wings. Doug left the Army in 1997 to pursue a career in software where he has since held various management positions and earned an MBA.